Just bought a new mobile phone or iPad? Suddenly you need to cut your full size sim into a micro sim, or you just want an adapter that will enable you to use your SIM card in your old phone, this SIM card adapter is specially made to do those jobs. 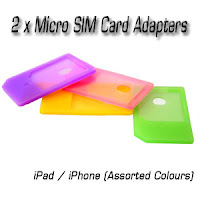 It can change your Micro SIM that can only be used in an iPad or iPhone, to a full sized SIM that can work in any phone, laptop or device that has a SIM card slot. 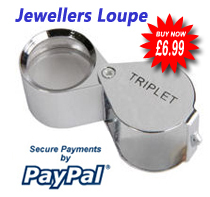 It will save you time, money and is easy to use. Please Note: All colurs are assorted. have an Ipad 2 & Iphone 3gs. I went to vodafone & swapped my normal sim for a micro sim (no cost), the sim fits into the adaptor easily for my Iphone & its easy to swap over to my Ipad when ever I want.. great product.